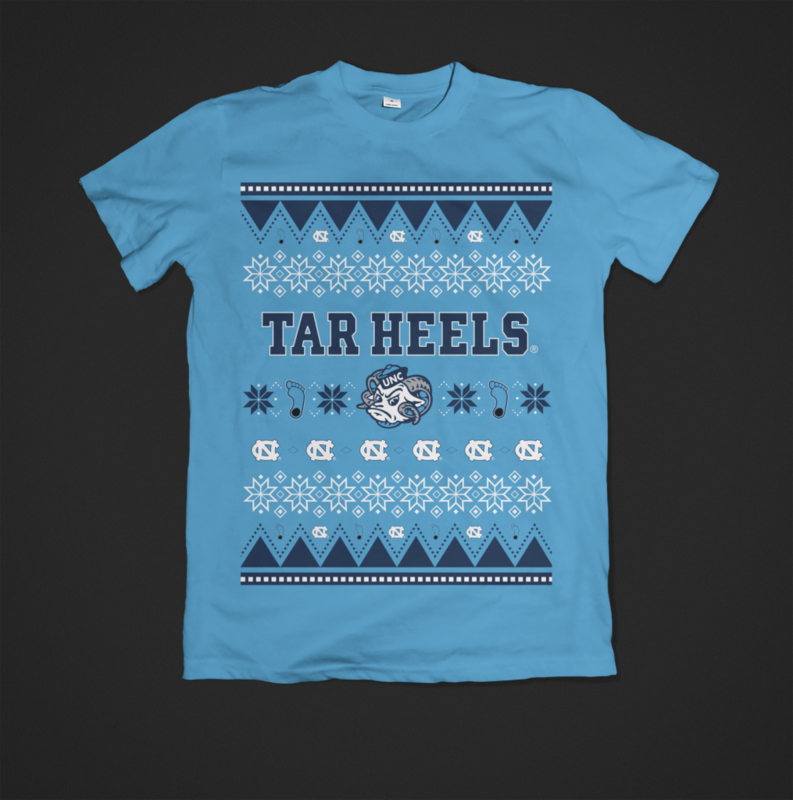 2016 version of the ugly sweater t-shirt. 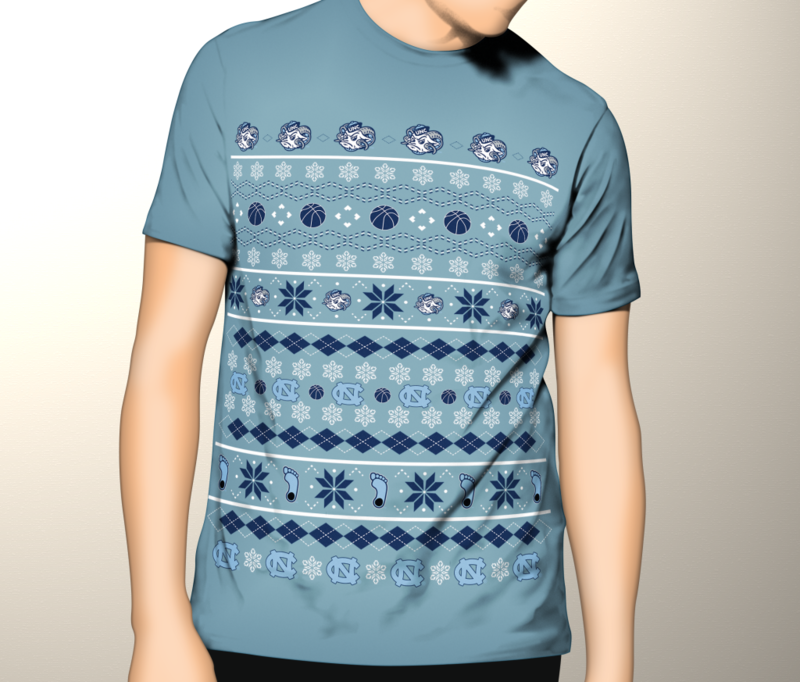 First iteration after getting the assignment to create a UNC basketball-themed ugly sweater t-shirt. Adobe Illustrator // T-shirt design // T-shirts were given to fans and students at a women’s basketball game around the holidays. T-shirts were handed out to 500 students and faculty at the game, and they were so popular that the theme night will be continued in upcoming years.